Cupcakes are delicious, but cupcakes with a cheesecake center? I think this recipe is definitely a keeper! 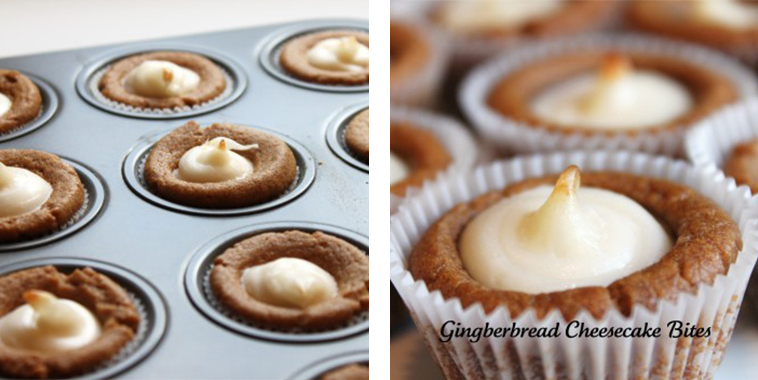 These yummy bites have gingerbread outer shell with a cheesecake filling. Those two go amazingly together. With the holiday s coming up the little desserts are perfect and festive. They’re great for a Thanksgiving or Christmas dessert table. What’s almost as good as their taste? The fact that it only takes four ingredients to make these mini masterpieces! You be surprised how easy they are to make.